I received this e-mail recently ………. 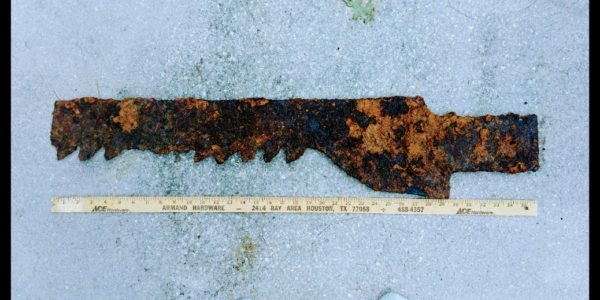 I saw the web page on steam saws at mendorailhistory.com and wanted to know if you can pass this email and attached photo along to your saw expert. I was metal detecting on part of the old Biltmore Estate in Asheville, NC and found this b;ade buried about a foot deep. What it left of the blade is 36 inches long. There is a doubler plate on both sides of the tab and they are riveted with two rivets on the blade end. There is a hole about 2 inches from the end of the tab that will accept a bolt or pin. I would like to know what make/model of equipment this came from and a manufacture date range for this equipment. As the CPA on the block I hadn’t a clue. So, I put out an all points bulletin to the members asking for help. Aside from the usual smart alec replies there was a view that this might be the blade from a bow saw. 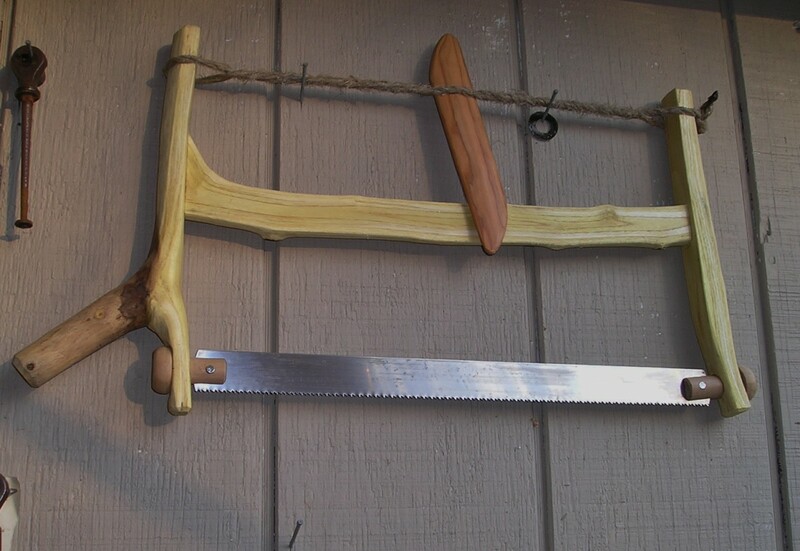 I looked up “Bow saws on Wiki”…………………. There were quite a few pics illustrating bow saws. If you have a view/idea please let me have your tuppence worth. Steam powered dragsaw – Maybe? 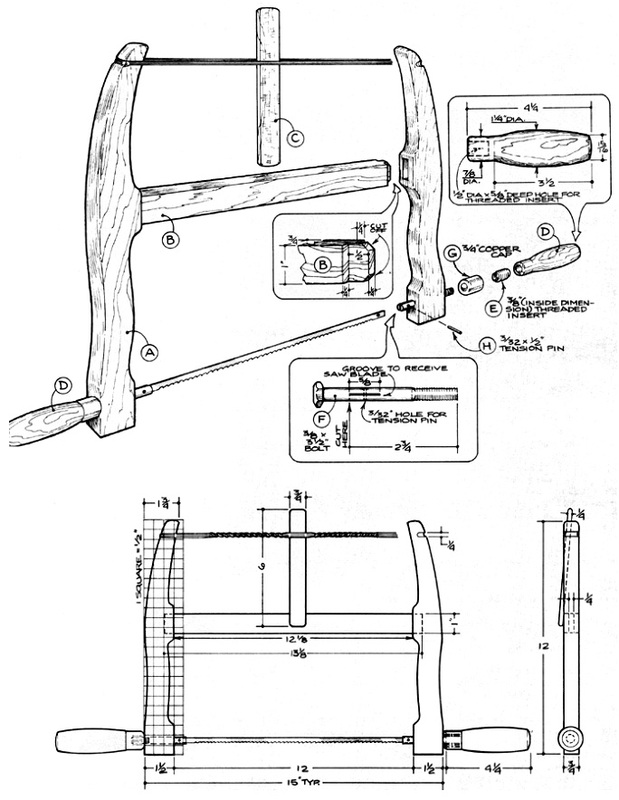 The first dragsaws were reciprocating power saws using a six foot steel crosscut saws to buck logs to length. Dragsaws were the forerunners of the modern chainsaw. 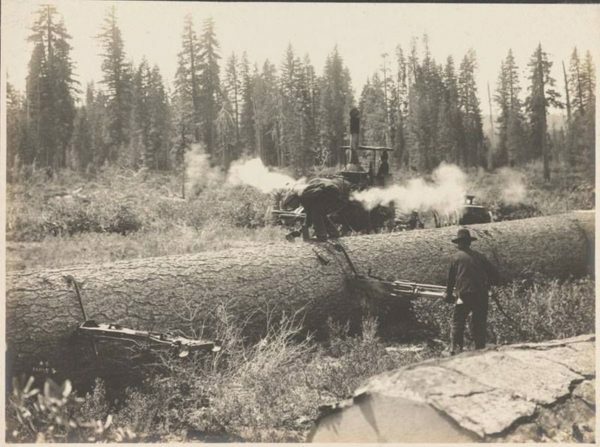 They were the first powered saws used in the logging operation. The earliest models were powered by steam from a donkey engine. 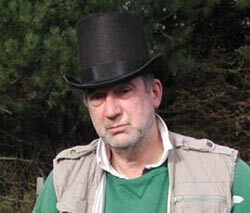 Whilst I can;t be sure it looks like the one in this picture is steam powered. 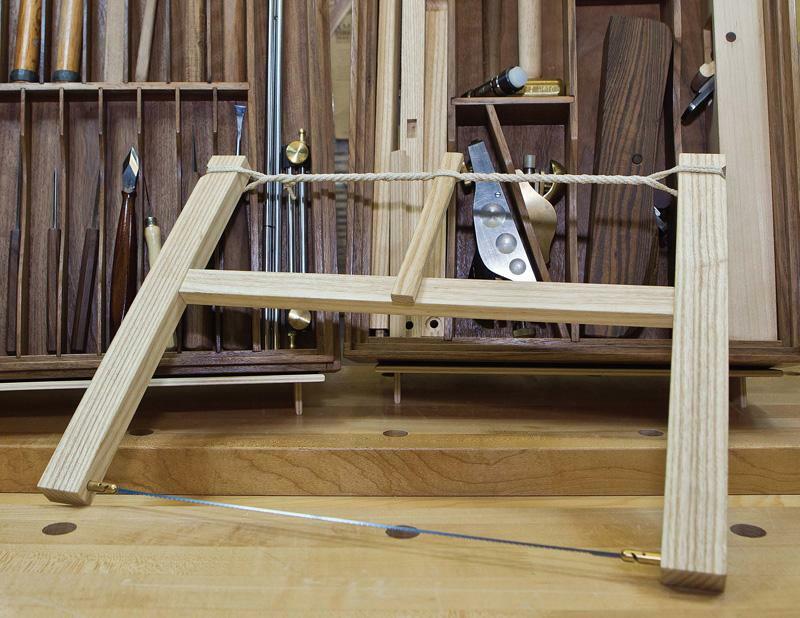 If you check the website you’ll find we have a nice page on dragsaws – check it out here. 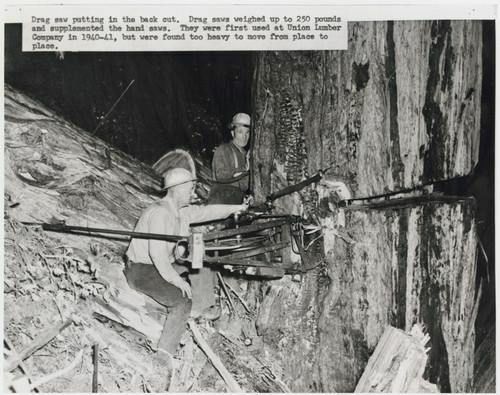 The first dragsaws were reciprocating power saws using a six foot steel crosscut saws to buck logs to length. 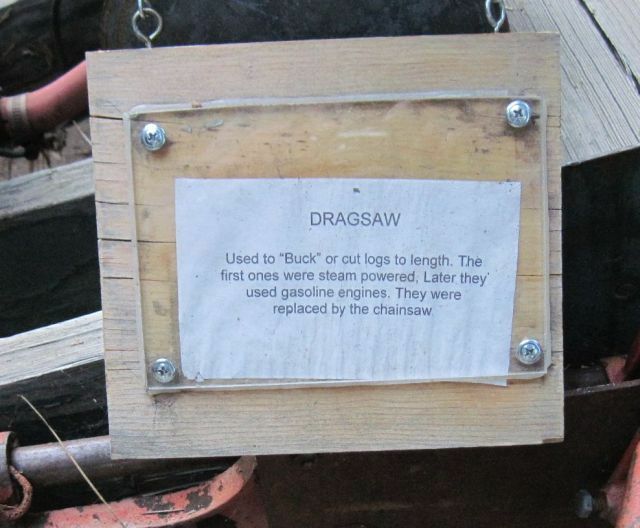 Dragsaws were the forerunners of the modern chainsaw. 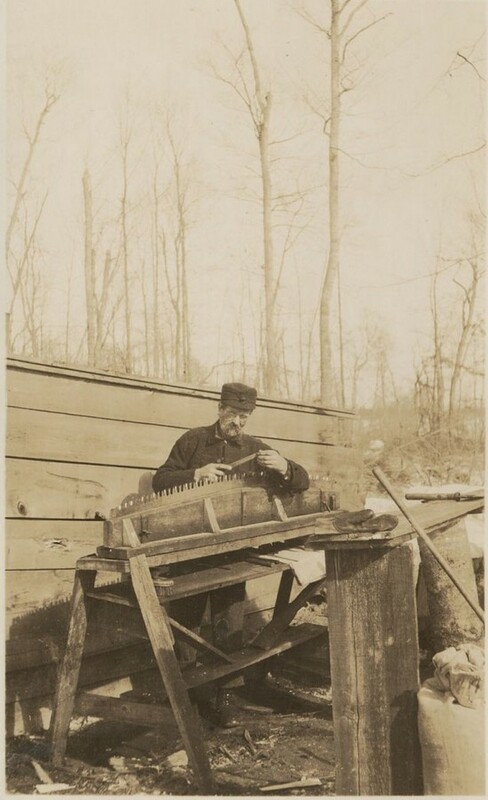 They were the first powered saws used in the logging operation. The earliest models were powered by steam from a donkey engine. The model in the picture below is gasoline powered and is atypical of those used from the 1920’s through the 1940’s and by some diehards until the 1950’s. In theory they were portable. Hank Simonson used one in his youth . He said that portable only meant portable if you were very strong and fit as they weighed some 300 pounds. They were very reliable and very rugged and were significantly more efficient than cutting (bucking) by hand. Before we had our steak dinner when visiting the Sugar Pine Railroad (see yesterday’s blog) I had the chance to look around the small but impressive museum they have there. For reasons I know not why I have been fascinated by dragsaws since I first found out that they existed. 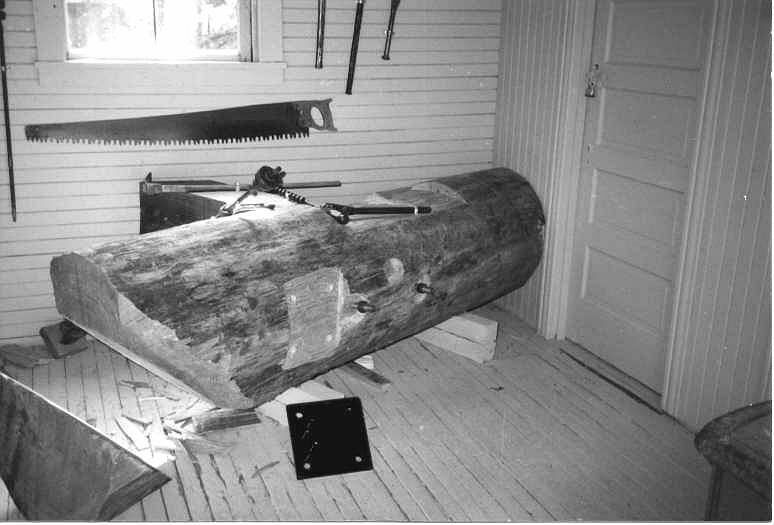 The first drag saws were reciprocating power saws using a six foot steel crosscut saws to buck (cut) logs to length. 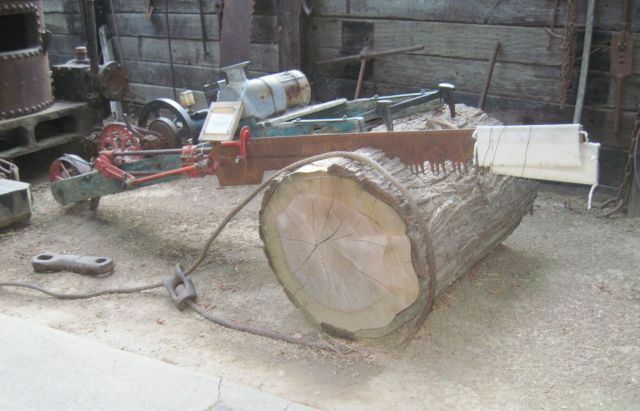 Dragsaws were the forerunners of the modern chainsaw. 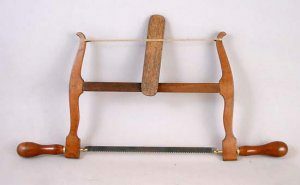 Our website page on drag saws gives chapter and verse on their history. As I stood looking at the drag saw on display (see picture below) I was joined by another old geezer who stood admiring the “beast” with me. We fell into conversation and we wondered what the impact of the drag saw was on logging. We agreed that the replacement of horse and oxen by donkey engines and railroads had a massive impact on the logging industry. However, neither of us could remember having heard or having read of the impact of the drag saw. We did agree that tending a drag saw (however temperamental they might have been) seemed a far superior way of making a living than being at one end of a six foot cross-cut saw. Posted in Dragsaws, Mendocino Coast, CA , Local History. Before the days of dragsaws and chain saws the crosscut saw was used for the final cut in felling a tree and bucking (cutting into lengths) the fallen trunk. Keeping the crosscut saws sharp was the work of the Filer. Whilst the Filer’s job was very skilled and he was relatively well paid it is not a job you hear much about. 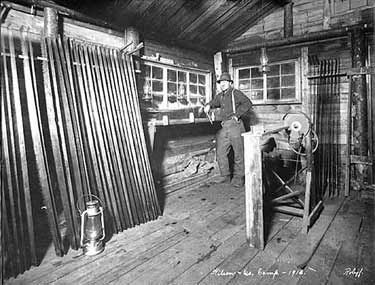 The Saw Filer often had building like a bunkhouse which provided him room to lay out the many saws he serviced. The space made it easy for the logger to locate his own saw that had been sharpened for him by the Filer. 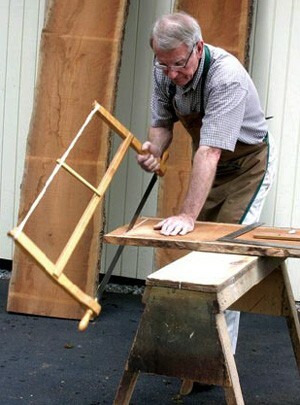 The Filer had a workbench where he sharpened the saws and adjusted the cutting edges. Each of the loggers had at least two saws, one in use while the other was being sharpened. 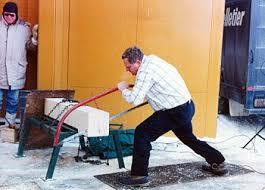 At the end of each day the logger would leave the used saw with the Filer. In the morning he would pick up a sharpened one for that day’s use. The loggers were expected to sharpen their own axes. 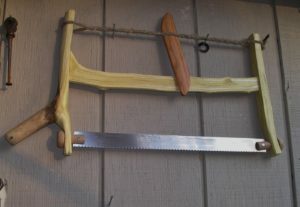 Cross cut saws were about 6 ft. in length with handles on both ends. These two man saws required coordinated pushing and pulling between the two men, thus each team had two saws with one being used till the noon break and the other the remainder of the day. These two men formed a team; once each man found a good partner, who had a good cutting stroke rhythm, they would continue to work together. Loggers (or Sawyers as they were also known) who had poor partners were not very productive and were always looking for a better partner, since they were paid by the board feet they cut. Sometimes the Filer had a log inside so he could test his work. 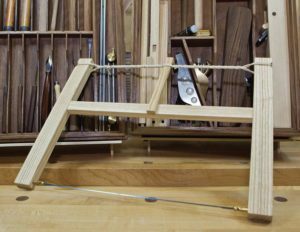 The saw hanging on the wall is a one-man crosscut saw used to trim timbers for bridges and trestles. It is sharpened just like the two man saws.